patient please call and provide insurance information 48 hours prior to your appointment. *Our cash price is different than our insurance pricing. At Source, we believe that true health is a habit. This means, it's important to not just come in when you have something wrong but to come in for monthly maintenance and build your body's resistance to the things that throw our health out of balance: lack of sleep, stress, emotions, etc. We are proud to offer unparalleled acupuncture sessions at affordable prices so you can not just get well but stay well. We are open 60 hours a week, night and day and take walk-ins for your convenience. Let us help you get your health on track and improve your life. 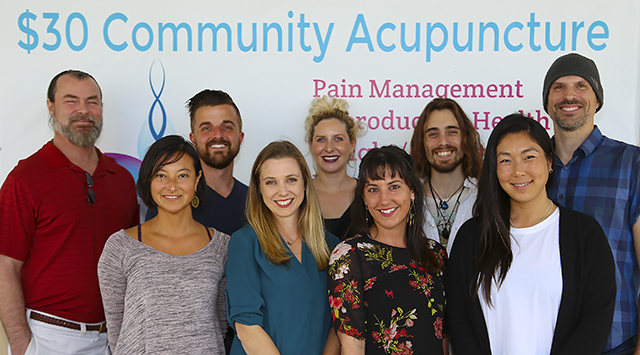 Our master-level licensed Acupuncturists have successfully served thousands of people with conditions ranging from pain, reproductive health, digestive disorders, chronic conditions and mental- emotional issues. Discover how acupuncture, "one of the worlds safest and most effective medicines" can help you heal and stay well NOW! The Traditional Chinese Medicine (TCM) Five Element theory dates back to 5,000 years ago and is comprised of five elements: Water, Wood, Fire, Earth, and Metal. Click the button above the picture to take a FREE quiz to learn which element is dominant in your constitution. Each element has its own signature pattern of how to stay in balance for optimal health from the inside out. Over time, one imbalanced element will affect the other elements which is why a person will usually exhibit a couple symptoms of imbalance from multiple elements. In this quiz, you will learn how acupuncture, diet, lifestyle and herbal medicine are a comprehensive way of bringing someone back into balance. Discover your body's natural healing ability $40 Cash or Credit. We accept ALL major insurance. Insured patients must book an appointment and choose the private or healing lounge option. Please call us 48 hours in advance with your insurance information. Feel the peace and calm of Painless Acupuncture, Herbal Medicine, Massage, Cupping, Moxibustion and more. Our compassionate and experienced professionals are ready to provide unmatched acupuncture service for you. Our clients come first, always! Feel free to walk-in and get treated immediately or schedule a healing session online. Our FAQ page will answer the common questions that come up or contact us below. Limited Time Offer: Acupuncture and Reiki Combo only $79! We are excited to bring you to a new level of calm and ease in your body. This is a limited time offer, valid only until February 2019. Only one per client and by appointment only. You will be asked to schedule your community acupuncture session first. We will take payment upon arrival. Your acupuncturist will help you set up your reiki session in the office. 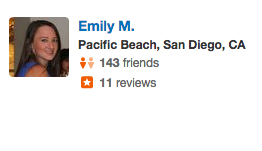 "This is THE best acupuncture spot in San Diego! I've been to so many and this one is by far the best. The vibe you get as soon as you arrive already relaxes you. I recommend Sharon who's there Tuesdays and Wednesdays. She's so sweet and patient, and listens to every concern you have. I also suggest buying a package of sessions so your sessions are around $20! Not only are they amazing but in the same office is a chiropractor so I can get adjusted on the way out. Go check it out!" Simone is the best acupuncturist I have ever been to! From strained muscles to sinus issues to colds to back pain she has helped with them all. Mind you, you don't need to have any symptoms to go in... I love getting regular wellness treatments. They keep me happy and healthy! Simone is extremely gentle and great at connecting to peripheral points. I would highly reccommend her to anyone and in fact I do... I am a chiropractor and I often refer my clients to her! This is THE best acupuncture spot in San Diego! I've been to so many and this one is by far the best. The vibe you get as soon as you arrive already relaxes you. I recommend Sharon who's there Tuesdays and Wednesdays. She's so sweet, patient, and listens to every concern you have. I also suggest buying a package of sessions so your sessions are around 20$!! Not only are they amazing but in the same office is a chiropractor so I can get adjusted on the way out. Go check it out! I am so grateful for the Source Wellness Center! I had lost all function to my left arm and hand. The injury was unexplainable and after multiple MRIs, my primary Doctor and Neurologist could not determine a cure much less the source of the problem. I was wrongly diagnosed at one point and told I needed a neck surgery. Later to discover this was not the case; surgery was not necessary. I was left with no answers and was advised by my primary Doctor that I waited too long to address the problem; that it would most likely would be a permanent disability. It felt like a nightmare and as a self-employed Esthetician I was unable to work. However, that was proven wrong after a few acupuncture treatments and herbal supplements prescribed by Dr. Simone. My strength and mobility started improving once I started regular treatments paired with the supplements. I can't explain in words how thankful I am! I'm now on my second round of supplements/acupuncture and I can lift my arm, hold a cup, comb my hair, tie my shoes!! The little things we take for granted. Walked in off the street to find one of the most kind and intuitive treatment. Dr Simone was not only knowledgeable, but I never felt rushed. She was a great listener and was most intuitive. I walked in with a booming headache and was skeptical at best, but desperate to try anything! Not only was the experience pleasant, but I left WITHOUT a headache! I was so happily shocked! The procedure itself was not painful, but mildly uncomfortable. For those, like me, who had never done acupuncture before it can only be described as little pricks, not like a shot. I will be recommending this place all the time! Dr Simone is truly lovely and has a healing gift that shines through her kind heart that exudes gentleness and love! This place is great! It allows people who aren't a part of the elite, rich to get acupuncture treatment regularly. I can't even begin to tell you all the health benefits acupuncture treats, both for injuries and preventative health care. I had pulled muscles around my knee and was in a lot of pain... and was scheduled to hike Everest base camp 2 weeks later. In a panic my friend highly recommended I try acupuncture and told me about Source Empowered Wellness. I saw Jonathan and with a game plan I signed up for a package deal and went as often as I could before the big 2 week hike. I was back walking and was able to complete the 2 week, 18,000 feet elevation hike! I still had to wear a soft knee brace, but I was able to walk without limping. I was limping for about a week before I found SEW. I continue to go now as preventative health care. There are so many little things in the body that western medicine doesn't even consider that Chinese medicine focuses on. It's amazing! This space in particular is an extremely relaxing environment. It's a large room with lounge chairs and a partitioned off section and private room with treatment tables for privacy for those needing needles in parts of the body that are usually clothed. It's clean and all needles are disposed of correctly. The acupuncturists are very calm and make you feel at ease. They are very gentle with the needle insertions and very mindful of your concerns and fears of needles. They do a good job of giving you enough time and attention you need; no matter how busy they get they never make your experience feel rushed. 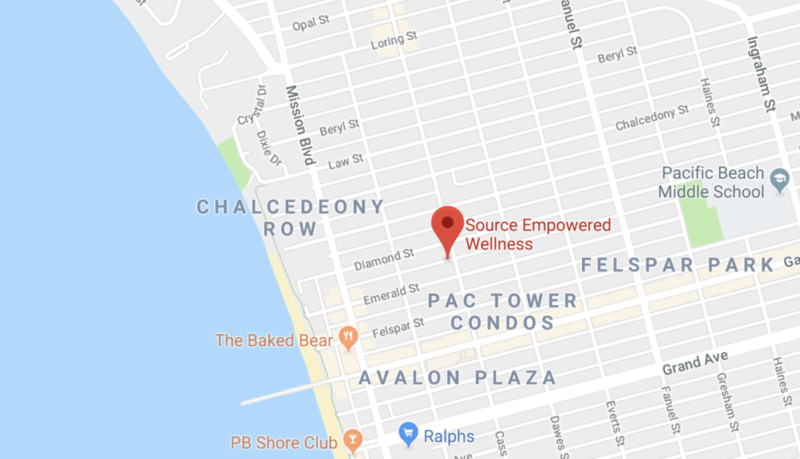 I’ve been to 6 other acupuncturists in San Diego over the past 8 years or so, and this was my first experience with a community drop in environment. I have to admit, I was a little put off about the idea at first because I thought that having other clients around me would ruin the relaxation of acupuncture. It’s really not the case to me. Totally worth it- I was spending $85-$115 per session with other acupuncturists and I couldn’t believe that you could purchase packages for as little as $25 a session. This means I can get treated more and not have to worry about how expensive treatment is. Simone is amazing, very kind, genuine, thoughtful, and knowledgeable. I’ve come out every time with amazing results and would highly recommend having acupuncture here! My insurance covers acupuncture with specific specialists- but I still pay to come here. Here I can walk in practically any time and I walk out feeling amazing. Grateful for this wonderful business and its awesome employees. 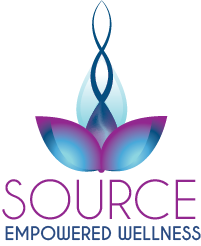 I can never express enough gratitude to Simone, Sharon and Source Empowered Wellness. I have been suffering from a serious elbow and arm injury for 6 months. I tired chiropractic, regular massage and even resorted to a cortisone shot. Nothing made a difference until I started acupuncture. I've been completely out of exercise for six months. I'm on my third week of treatment and very happy to say I am back working out. With caution of course but I'm back and owe it all to Source Empowered Wellness!!!! Thank you, thank you, thank you!!! First, I would like to say that acupuncture WORKS! I have received treatments for hormone balancing and knee pain all at Source Empowered Wellness. My experience with acupuncture for knee pain has been amazing. Occasionally my knee will lock up and I can't bend or straighten it or put any weight on it (so painful). I literally came in on crutches one day and after 2-3 sessions I was able to walk without them! The space is very nice and the vibe is relaxing and welcoming. Everyone I have received treatment from has been incredibly professional, knowledgeable and caring... and you absolutely can't beat the price! I highly recommend this place- these people are healers! "The World Health Organization (WHO) recognizes acupuncture and Traditional Chinese Medicine as one of the safest and most effective medicines for hundreds of modern diseases." One of our regulars is 11 years old and enjoys having acupuncture as a way to help her get rid of pain and the flu. Military vets and active duty get a lot of relief from pains, injuries, and PTSD. Please bring appropriate ID with you.